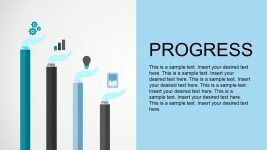 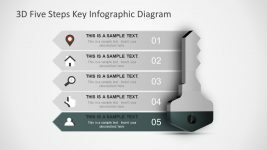 The Five Steps 3D Key Shape in PowerPoint template is an incredible slide of business metaphor presentation. 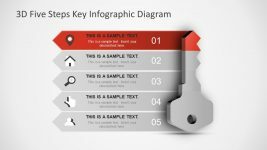 It is helpful tool for business professionals to demonstrate their key processes with effective graphics. 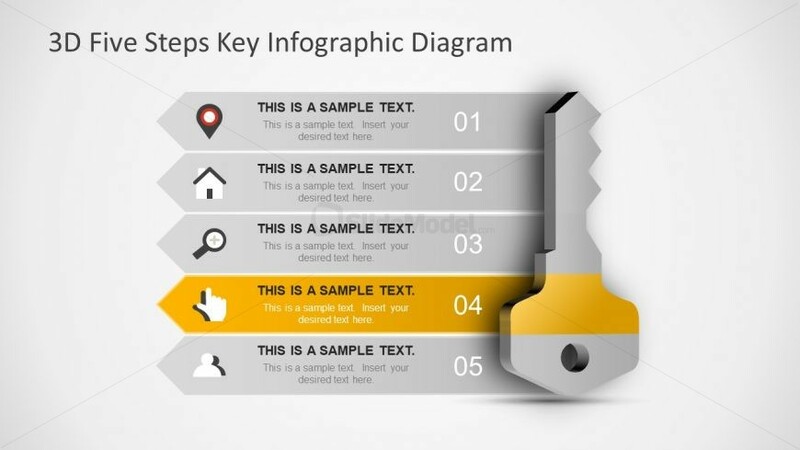 For example, describing the core values of company using this incredible key infographic PowerPoint. 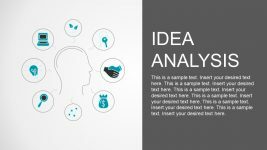 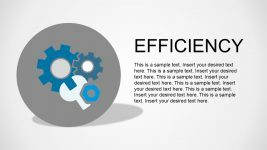 The idea is to provide the graphic visual of textual content to the audience for higher impact. 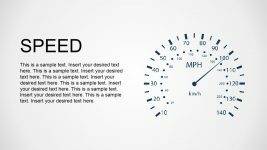 Because, it is scientifically proven that graphical content has more effective compare to text. 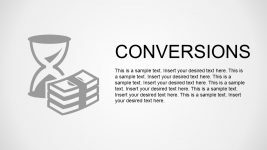 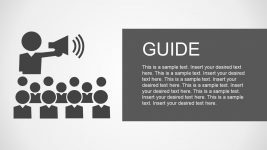 However, the key shape of PowerPoint and icons of five stages are the supporting figures for the text given in text placeholders.